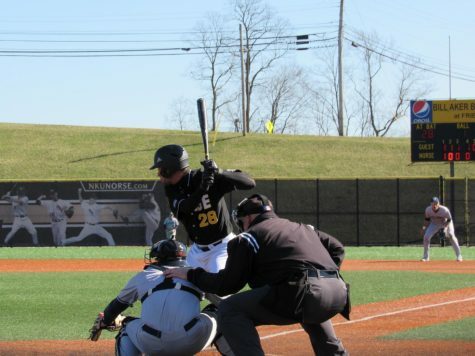 The NKU baseball team swept a doubleheader with Youngstown State Saturday afternoon, finishing the weekend with a 4-0 record and improving to 14-13 in Horizon League play. The Penguins drop to 9-19 in conference play and sit in seventh place in the league standings. 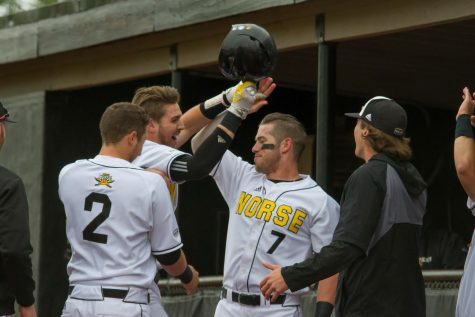 The Norse would be the three seed in the Horizon League Tournament if the tournament started today. The Norse will play the University of Kentucky on Tuesday at 6:30 in Lexington. The Wildcats are currently ranked ninth in the country. The Norse will then head to Oakland on Thursday for a three game series with the Grizzlies to end the regular season. 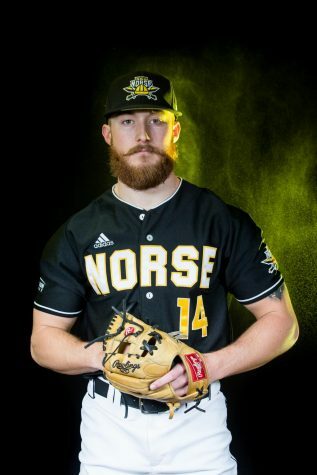 The Norse jumped on Penguin starting pitcher Zack Minney in the first inning, when Will Haueter doubled to score TJ Alas. 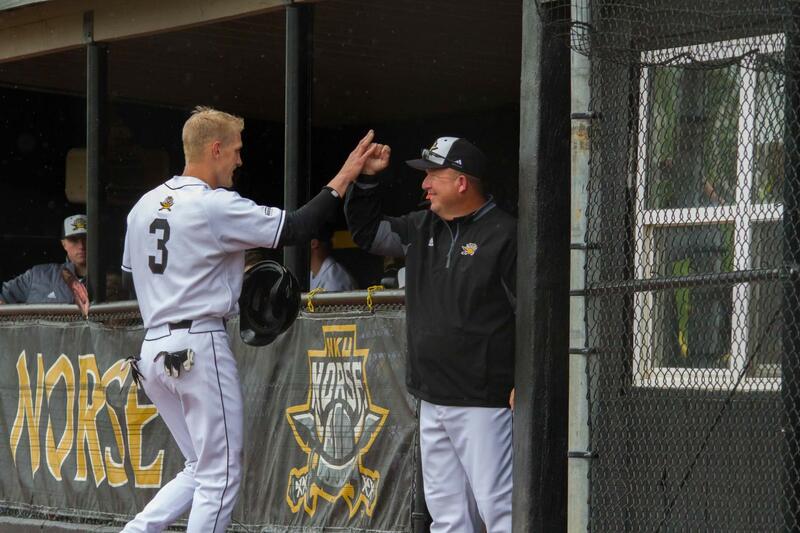 Later in the inning, Chad Roberts singled to score Haueter and give the Norse a 2-0 lead. 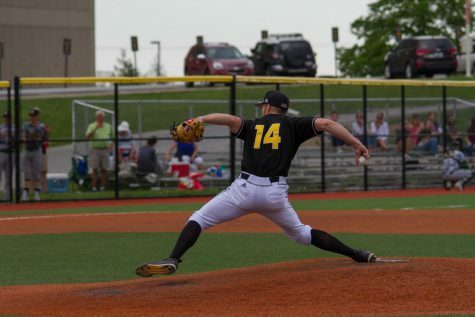 The Penguins responded in the bottom of the first, when Andrew Kendrick hit a two run double off Norse starting pitcher Brody Basilone to tie the game at 2-2. Both pitchers settled down after the first inning as neither team would score again until the seventh inning. Basilone lasted 5.0 innings and allowed just four hits, two runs while striking out six Penguins. Minney would last 6.1 innings and allowed just six hits. In the seventh inning however, Alas singled off Minney to score Kyle Colletta. That would be all for Minney, who would take the loss for the Penguins. Later in the seventh, Haueter hit a sacrifice fly that would score Jake Richmond and give the Norse a 4-2 lead. 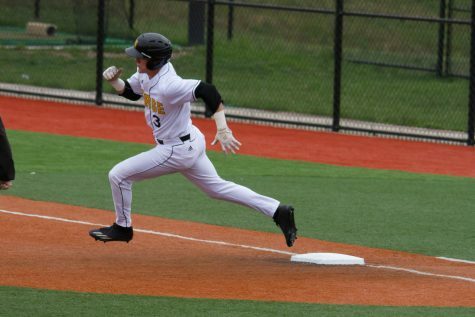 The Penguins attempted a comeback in the ninth inning and would score a run off a Kyle Benyo ground ball to get to within a run. That would be the only run the Penguins would get though, as Cameron Ross shut the door to earn his third win of the season. 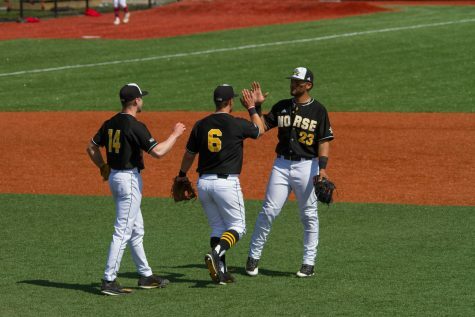 The Norse started game two with a two run first inning, thanks to a sacrifice fly by Trey Ganns that scored Alas and an infield single by Dominic Mercurio that scored Roberts. 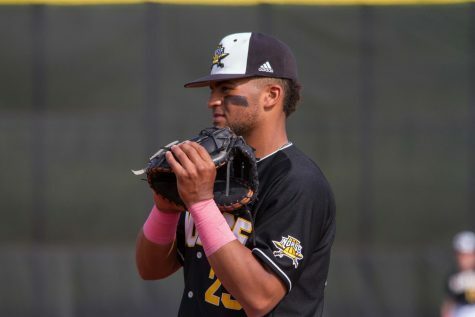 The Penguins would respond in the third inning when the Penguins loaded the bases against Norse starter Jordan Menfee. Menfee walked Web Charles to allow a run to cross the plate. 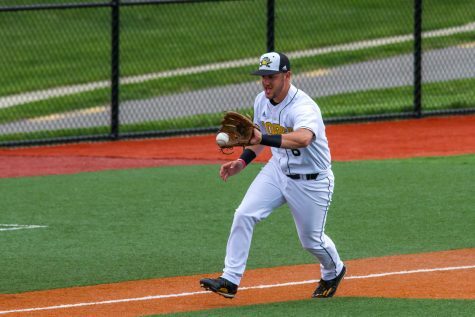 That was followed by Lou Cardona sacrifice fly that scored a run and an Anthony Rohan RBI infield single to gave the Penguins a 3-2 lead. This would be the only blemish on Menfee’s outing. He would last 5.2 innings and allowed only five hits and three runs while striking out three Penguins. He would earn his first win of the season. 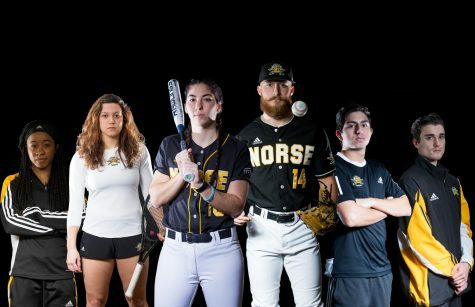 The Norse would regain the lead in the fourth inning thanks to RBI singles from Ganns and Bohlen that gave the Norse a 4-3 lead that they would not relinquish. Travis Rowland would enter the game for Menfee in the sixth inning. In his 3.1 innings of work, Rowland did not allow a hit and would strike out four batters to earn his second save of the season. Richmond went 2-4 with a run scored while Alas went 2-2 with a run scored and two walks.